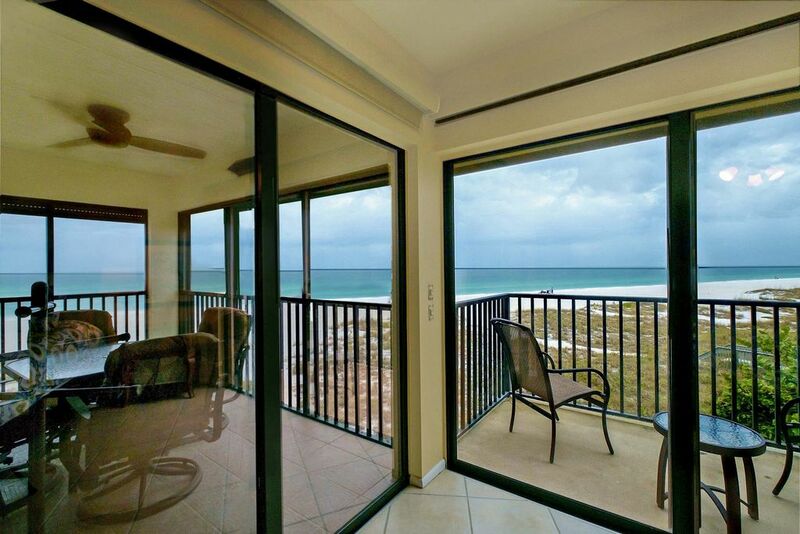 Stay DIRECTLY on the beach in this gorgeous two-bedroom, two-bath condo! 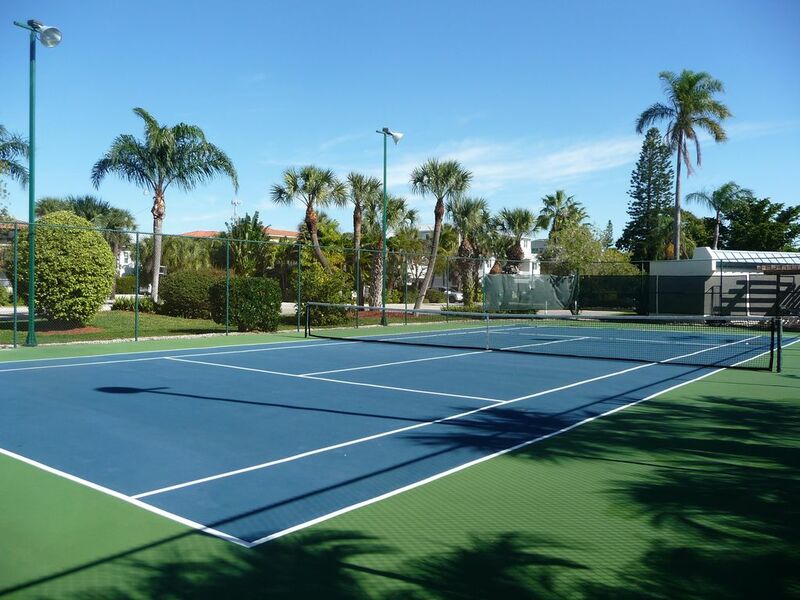 Sun Plaza West has everything you could want from your Anna Maria Beach vacation, including a lighted tennis court, heated pool, direct access to the white sands of Anna Maria's pristine beaches, and a central location in the heart of Holmes Beach. 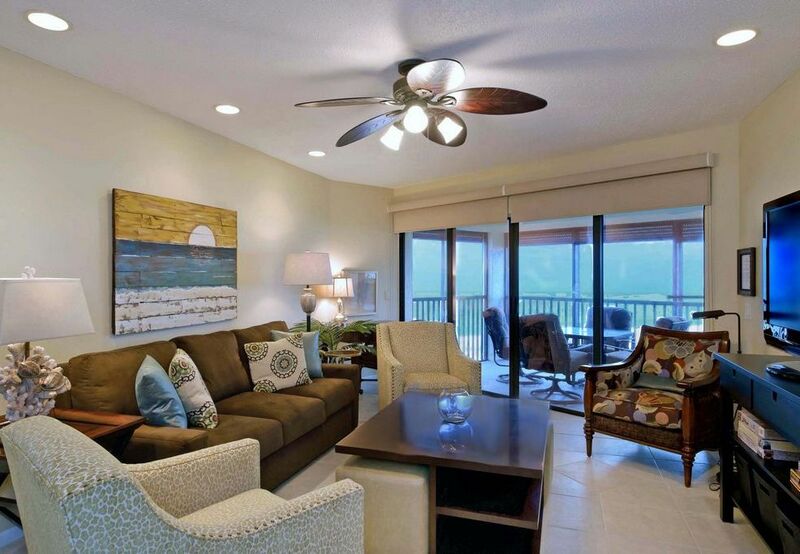 This lovely unit has been completely redone by new owners under the direction of one of the Gulf Coast's top interior decorators. 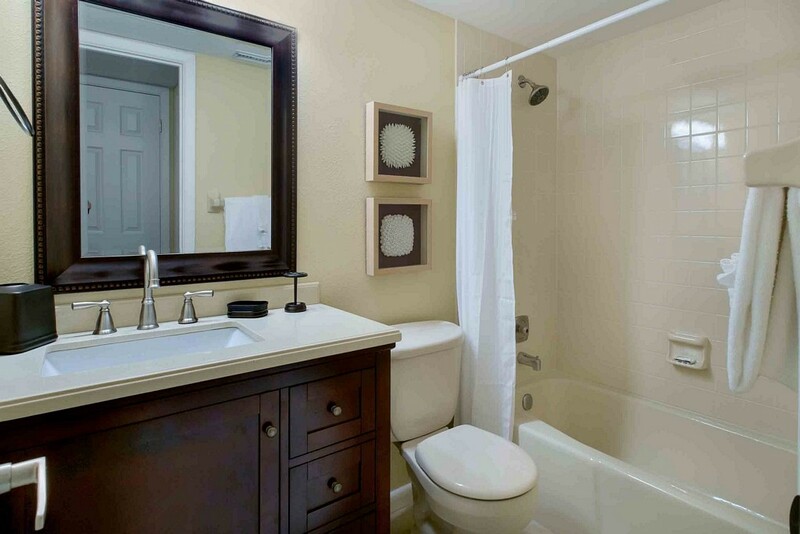 Kate's work is always gorgeous, and the furnishings are designed for comfort as well as beauty. 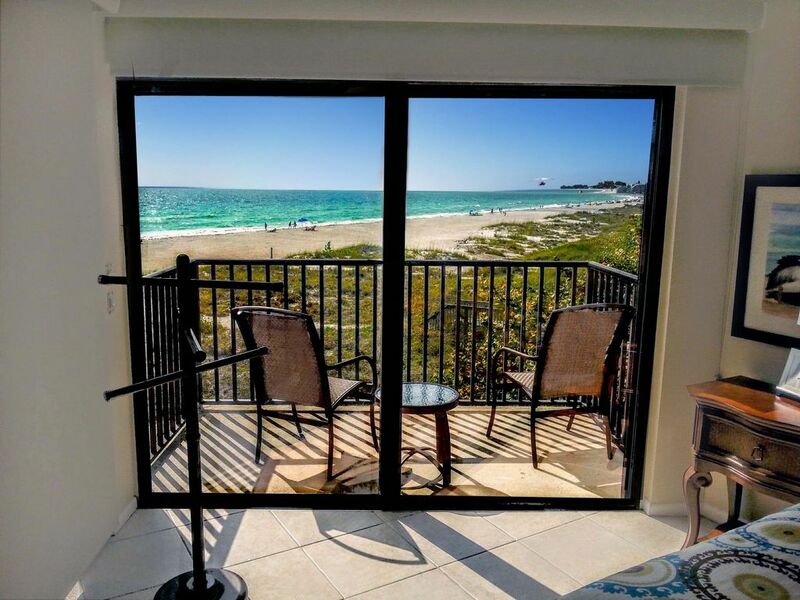 You'll enjoy breathtaking views of the Gulf of Mexico and our white sand beaches from both the large screened porch off of the living room and the open balcony off of the master bedroom. 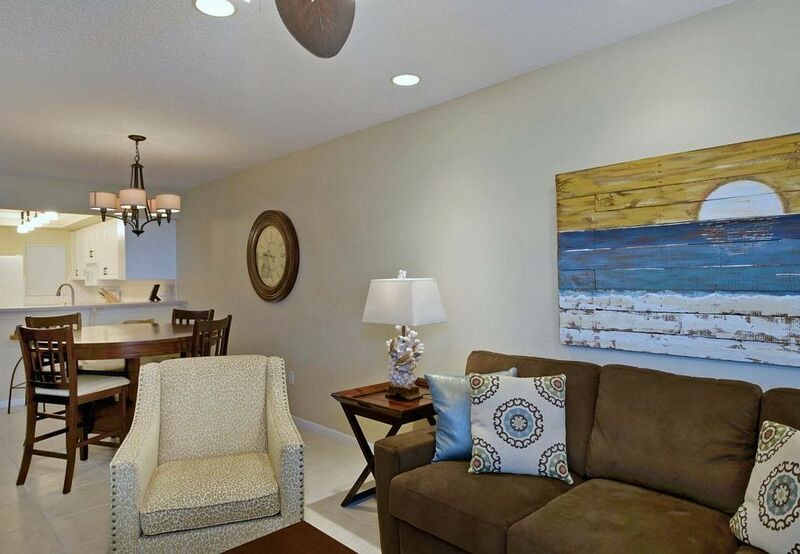 An open living space will provide you and your family with comfortable seating for relaxation, a large flat-panel TV for entertainment, and a dining table to seat everyone for delicious meals prepared in the fully equipped kitchen. 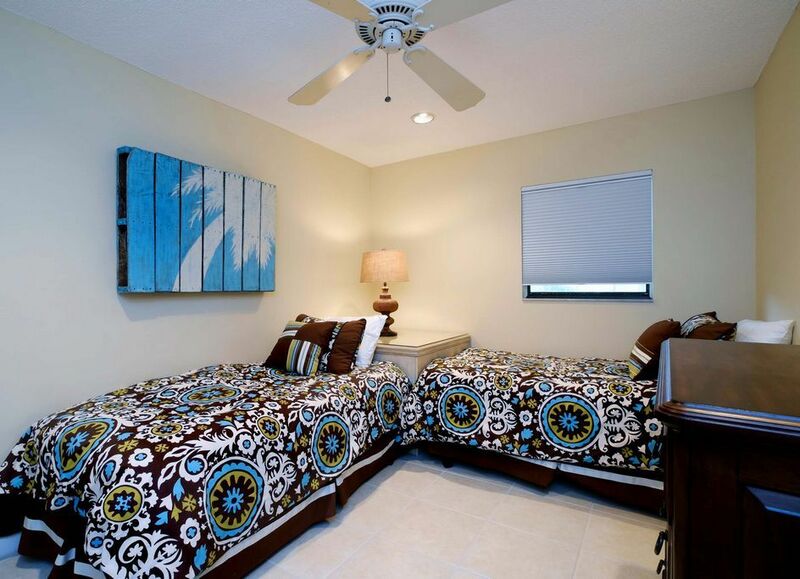 The master bedroom not only features views of the Gulf from a private balcony but also contains the comfort of a king bed, large flat-panel TV, and an en suite bath. 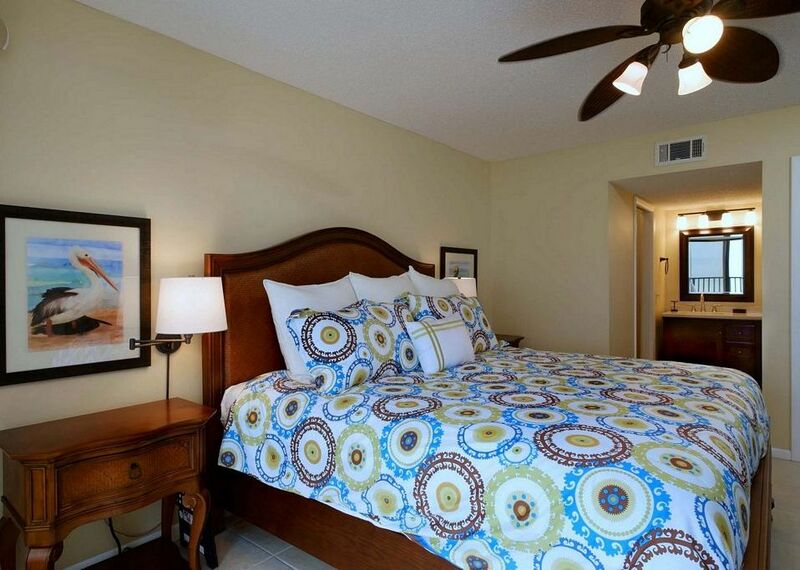 Designed with families in mind, the second bedroom features twin beds and another flat-panel TV. 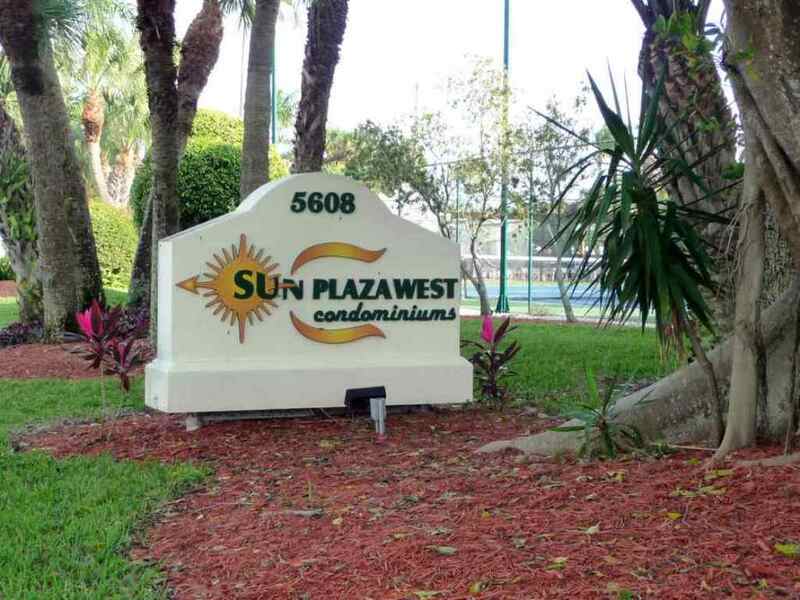 Sun Plaza West is located in the heart of Holmes Beach, directly on the southbound route of the Island's free trolley. 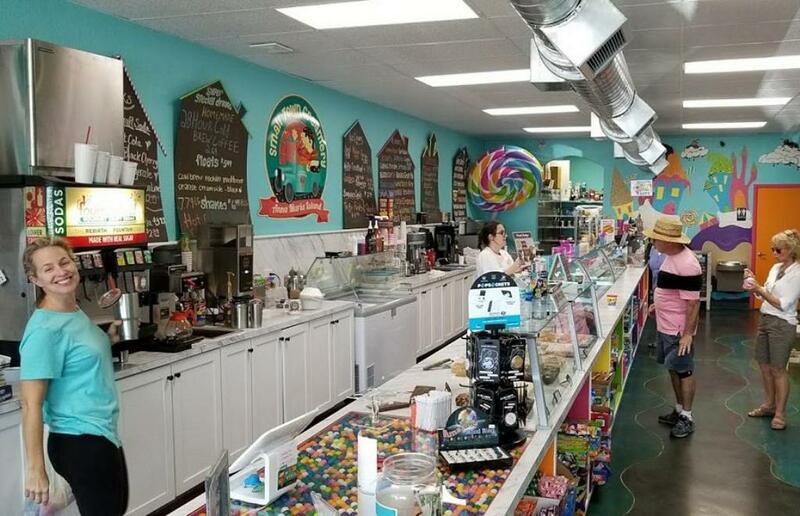 You'll find plenty of restaurants and shops within an easy distance for walking or biking. 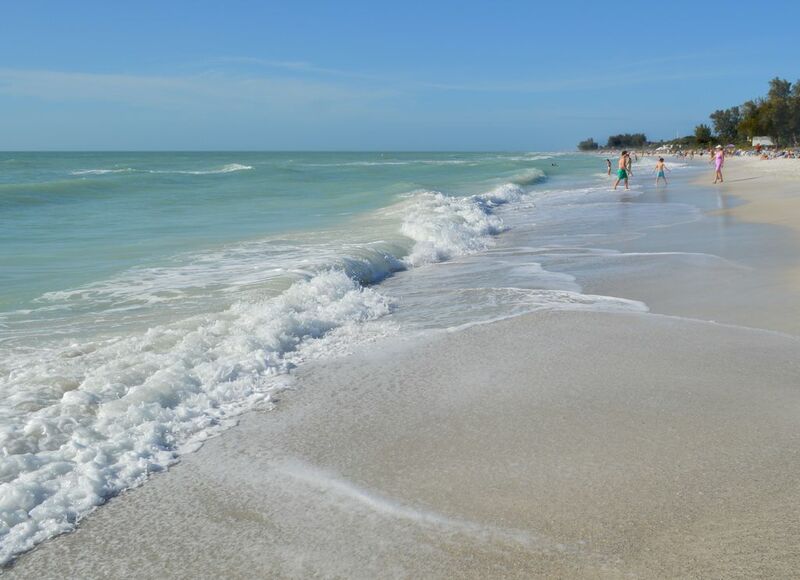 During your stay, you might even want to stroll a short distance north on the beach to the famous Beach Bistro, which has consistently been awarded the highest ZAGAT scores in the state of Florida, and is included in ZAGAT's Top Restaurants in America. 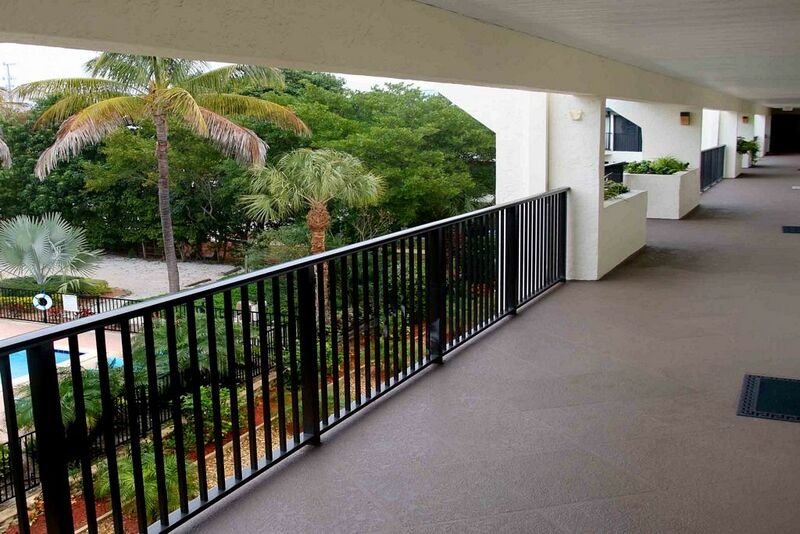 This condo is part of a midsize condo complex. 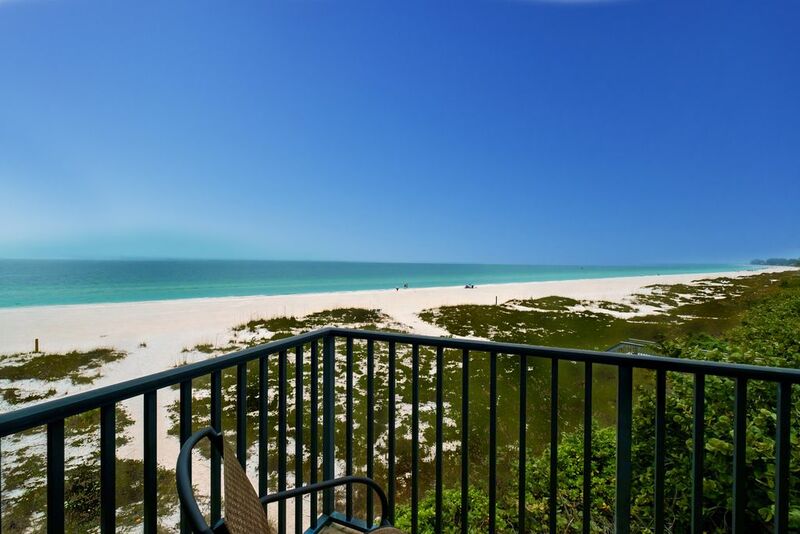 It has the premier location in the complex with excellent views of the beach and Gulf of Mexico. 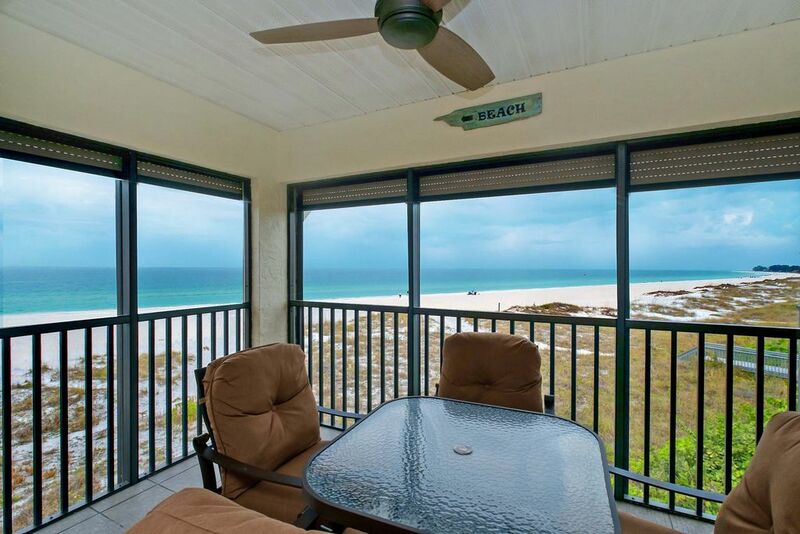 There is private access to the beach. 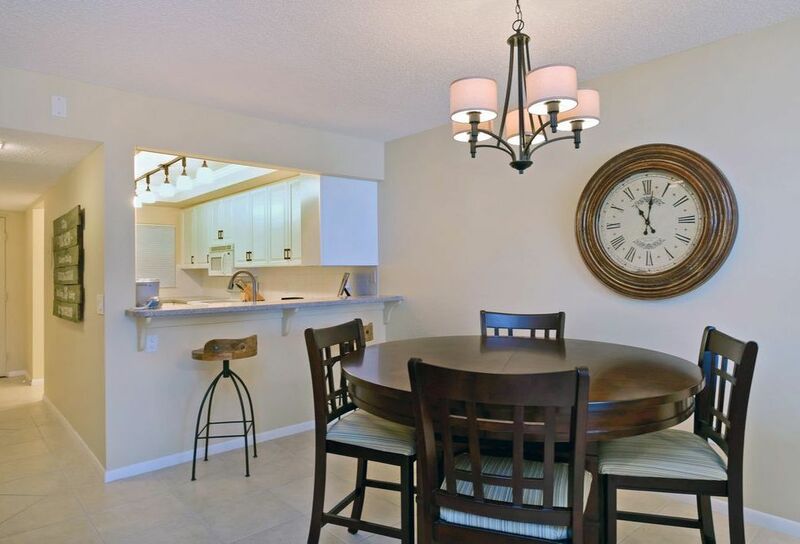 It is in walking distance to many of the best restaurants in Holmes Beach. 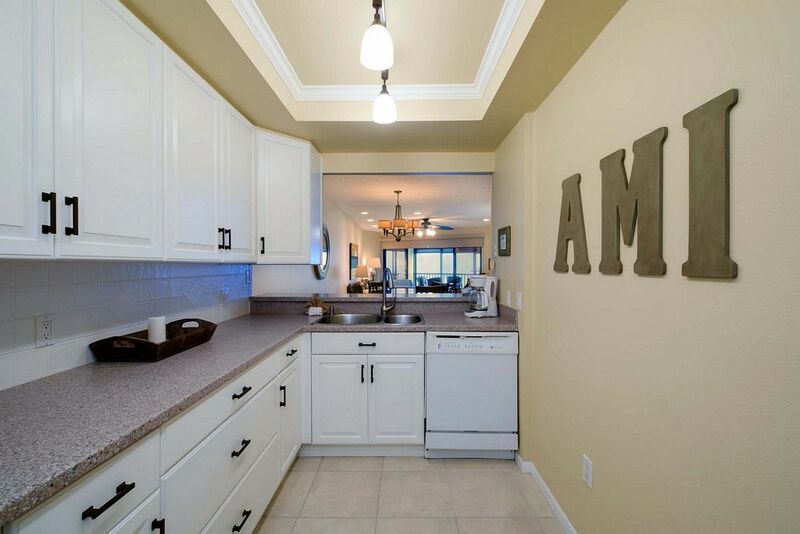 The condo has been nicely remodeled. The living spaces were very comfortable. 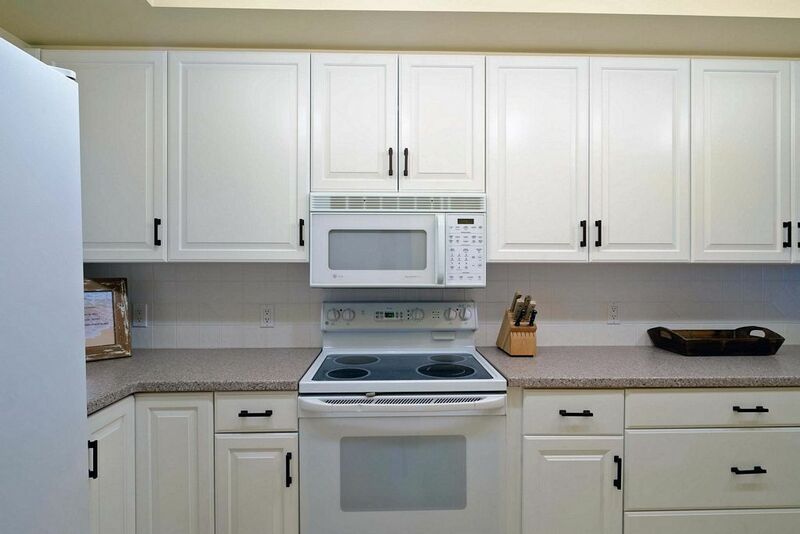 The kitchen was well equipped (it even had a Keurig which was not noted on line). 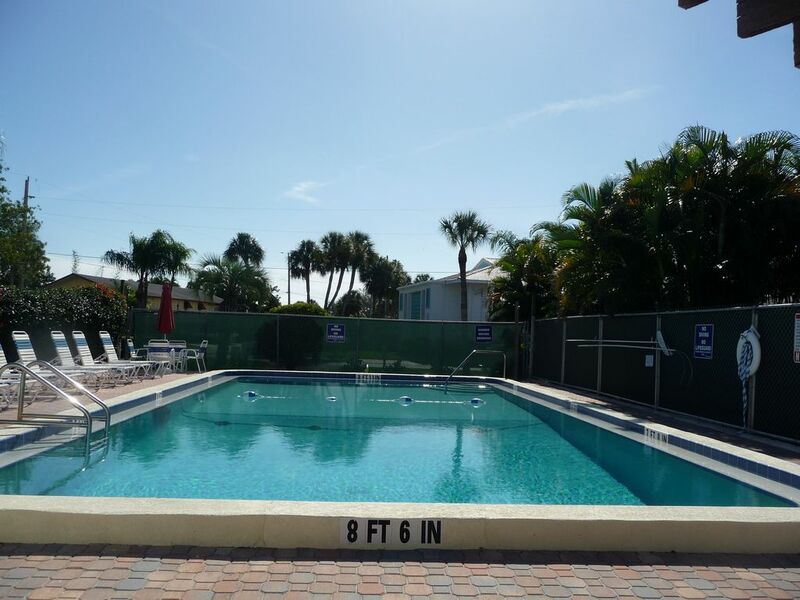 There is an outdoor storage space that is well equipped with beach chairs, umbrellas, flotation devices, and wagons. It had plenty of room to store our golf clubs and rental bikes as well. First, let me say this unit is one of the nicest (if not THE nicest) condos I've stayed in on the Island, & I have stayed in MANY! There are plenty of towels here (& GREAT quality too- which you NEVER see)! !